The yellow marquee of The Englert Theater provided a nice reprise from the spring snow floating down onto the Iowa City street. Yes, you heard me right, spring snow. Good ol’ April in the midwest. 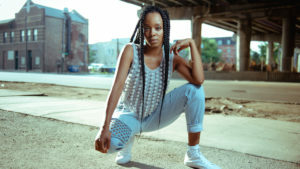 As cold and blustery as it was outside, the serene music of Jamila Woods made the Englert a warm space to spend the closing night of the 2018 Mission Creek Festival. 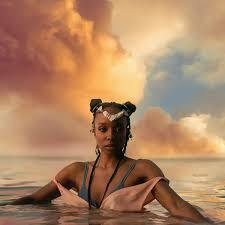 I hadn’t really known much of Jamila Wood’s work before going to this concert, other than her captivating vocals on the chorus of “Sunday Candy” by Donnie Trumpet & the Social Experiment, a band featuring Chance The Rapper. Even just the small snapshot of her unique voice that I got from that song immediately made me want to hear more. During the concert, Jamila treated the audience at the Englert to “Sunday Candy,” but with her own personal twist. The song was transformed from its lighthearted mood to one of deep emotion with a connected melody and underscoring drums and guitar that only enhanced the piano backing of the original version. 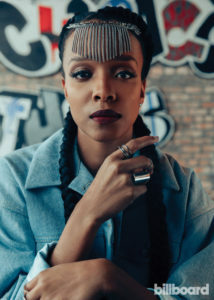 Collaboration between Woods and Chance has stayed strong, with Chance being featured on the song “LSD” from her new album HEAVN, released last year. LSD can certainly undertake another, hallucinogenic meaning, but in the song’s case it stands as an acronym for Lake Shore Drive. 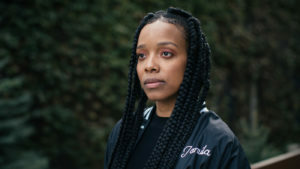 The well-known road stretches along the shore of Lake Michigan in downtown Chicago, where Jamila, the members of her band, and Chance The Rapper all hail from. Much of the lyrics in Woods’ music originate from events in her own life. 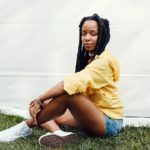 Ranging from nationwide issues such as race, gender, social injustice, to more personal interests like Chicago, and even as specific as the mild sauce at Harold’s Chicken, as she divulged during the concert, inspiration can truly strike anywhere. Chill songs with swanky beats may seem like an odd description, but I feel as though it pretty much encapsulates the tone of Woods’ music. The layering of sounds play a big part in HEAVN, with many of the tracks containing a dreamlike background of drums, keyboard, and guitar that underscore the soulful timbre Woods’ voice. Even though many of her songs are easy-listeners, they don’t come without intricacies. Woods plays with syllables, splitting words in several of her songs into interesting rhythmic breaks. On stage, Woods was just as smooth as her vocals. Moving freely to the beats of the music, she infected the crowd with her calm vibe and graceful presence. She even paused between songs to say goodbye to one of the members of the “amazing squad of girls dancing in the front,” as she called them, who had to leave the concert early. Everything looked and sounded effortless. Behind that ease is a very powerful woman who spreads a message of love and equality through lyrics and the written word. Woods has also gained a following through her poetry. In fact, she read as part of the Mission Creek Keynote Reading at The Mill alongside authors Hanif Abdurraqib and Alissa Nutting the day before her performance. 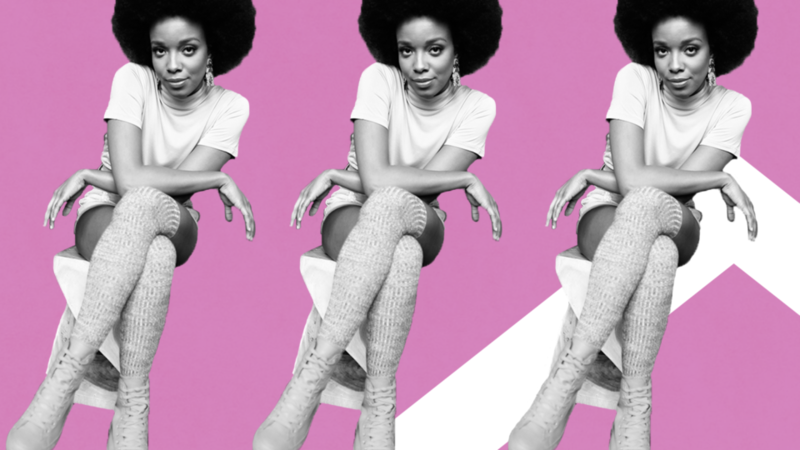 Often, her written poems are integrated through lyrics or spoken word, as was the case with one song during the night that started with her reading out her original poem, Blk Girl Art. The poem takes a meta approach, analyzing the meaning and effect of poems themselves. Words have endless power, and Woods takes that power into her work.